To those with the highest security clearance, the line item is known only as Project X. But to the half dozen agents and personnel working for it, it’s known as Firestorm, a black ops group so dark that the U.S. President doesn’t even know about them . . . yet. And no operative is as skilled as former Navy SEAL Brady Hawk. Amid the smoldering ashes of another terrorist attack on U.S. interests in Iraq, Hawk searches for Nasim Ghazi, the chief bomb maker for the terrorist group Al Hasib. Hawk must return to quietly navigate through Iraq and Afghanistan to hunt down Ghazi before he strikes again. But is Ghazi really Hawk’s primary target? Or a diversion to keep him from discovering a darker secret? In a world where nothing is as it seems, Hawk must stay focused in order to put down another threat before it’s too late … both for himself and the world. 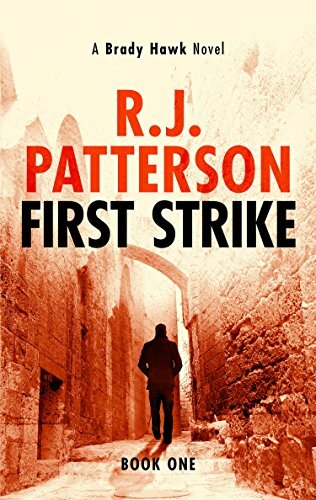 Fans of Vince Flynn, David Baldacci, and Brad Taylor are loving this new pulse-pounding action thriller series from award-winning and bestselling author R.J. Patterson. 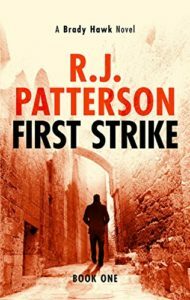 Buy First Strike today and start a series that will keep you up all night reading!